Do you think that an office space will rake in the same amount of revenue as a residential property? Think again. The bulk of real estate profits are stored inside housing. Given the keys to this investment, homeowners, whether it’s for mobile parks or plexes, are building a wealthy future on solid grounds. Over the course of the last couple years, the dynamics of real estate have been shifting fast. The rental rates for office leases have dropped to an all time low, while housing rentals have hit a high note for all investors out there to hear. Due to the soaring demand for affordable housing, there’s an even bigger order for mobile homes – since these provide some of the lowest places to live. · Mobile homes have endured commendably over the housing boom and bust. · It’s still feasible to get a loan from a bank, if you can assemble all the required paperwork required by lenders. · Over the course of the last few years, renovations have made mobile homes more desirable for millions of Americans. · Due to zoning restrictions within many cities, mobile parks are far and few between. 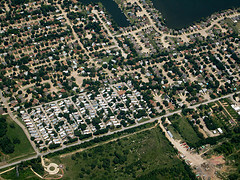 As a result, mobile home parks usually run at full occupancy. 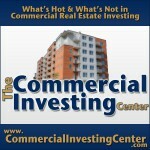 Other properties that investors can find opportunities for income include self-storage facilities. As time whiles away, there are certainly expenses to be anticipated of properties. Mainly speaking – maintenance. For instance, over a 10-15 time-frame, there will likely be some expensive renovations to execute. By this time, investors should have enough profits to counter the expense. Investors can also anticipate tax write offs for these expenses during the tax season. Prices for rent can be periodically incremented to get the maximum return on investment. These income properties won’t need mortgage payments perpetually either. Jason Hartman knows this firsthand. After the 15-30 year term has lapsed, all rental payments are yours to keep. This isn’t a bad retirement plan at all. Warren Buffet also knows this firsthand.